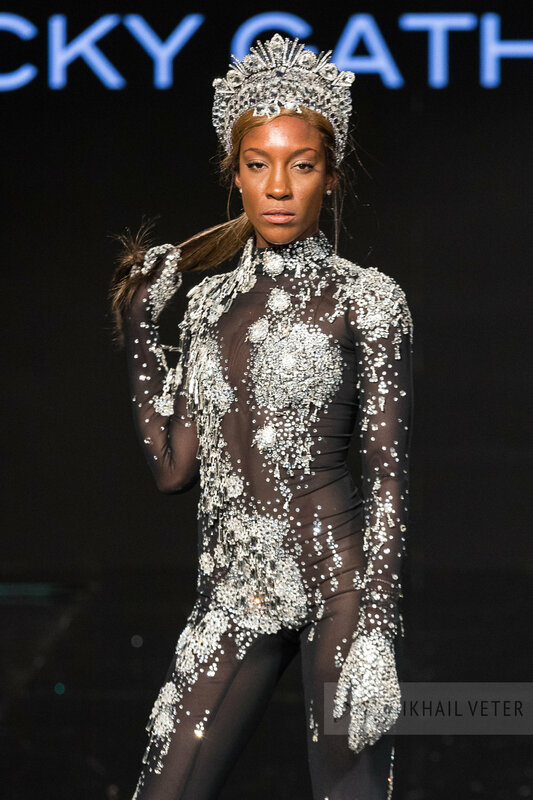 The collection lit the runway on fire with it's opening corset piece setting the tone for what was to come. 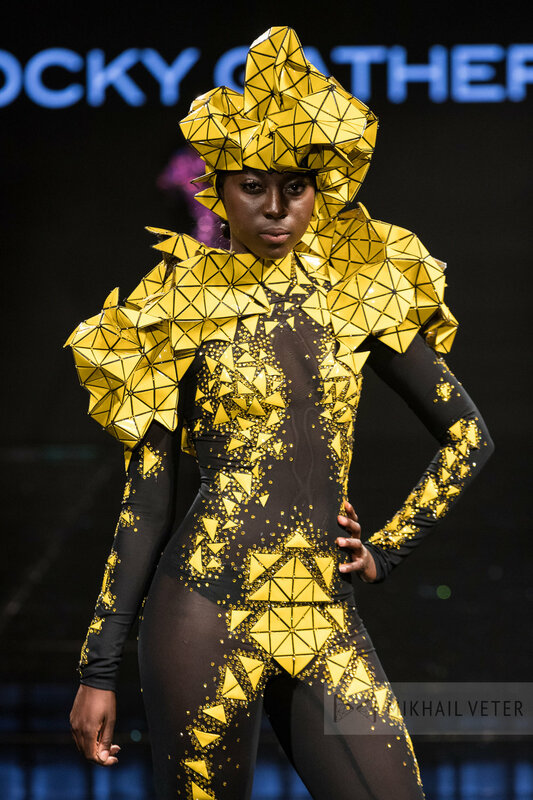 The designs that slayed the runway were stunning, edgy, extreme and very detailed. It was like watching a piece of art come alive. 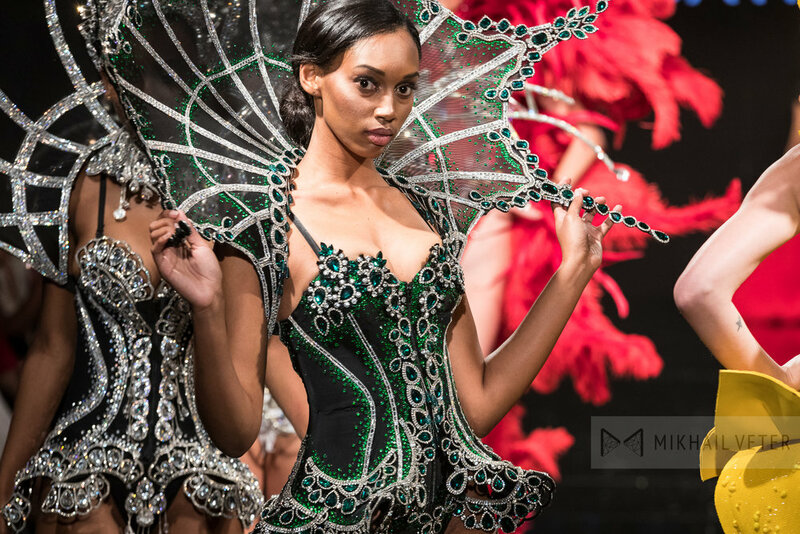 The intricately beaded detailed gowns, sheer bodysuits, and beautiful head pieces gave those watching a euphoric feeling as each design graced by. Rocky is an artistic genius that taps into a fashion world we all love to witness! He is one-of-a-kind, just like his designs! Fashion review by Tiffany Konecko of A MOM IN HAUTE PURSUIT. To learn more about Rocky Gathercole go to rockygathercoleatelier.com and @verygathercole.